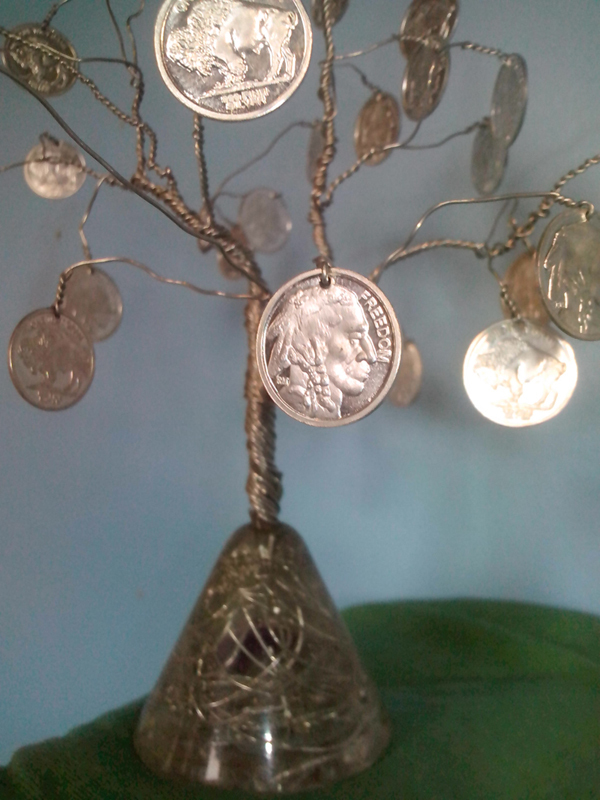 Co-operative Experiment: .999 Silver Moneytree Investment Art For sale. We are selling more than just Art, we are selling an Idea. This tree encapsulates more than just the idea of co-operation to the solution of corporate monopolies and dominance. It encapsulates the truth about money and how in this reality Fiat money is being used to steal our energy. We hope to use this energy the moneytree generates to create a greater reality than the one we are experiencing. We are confident the longer it takes to sell the money tree the more value in relation to Fiat it will have. Silver, money for thousands of years is more use full than most people realise and is in short supply. We believe in the age of deceit Silver is possibly the best investment of our age.